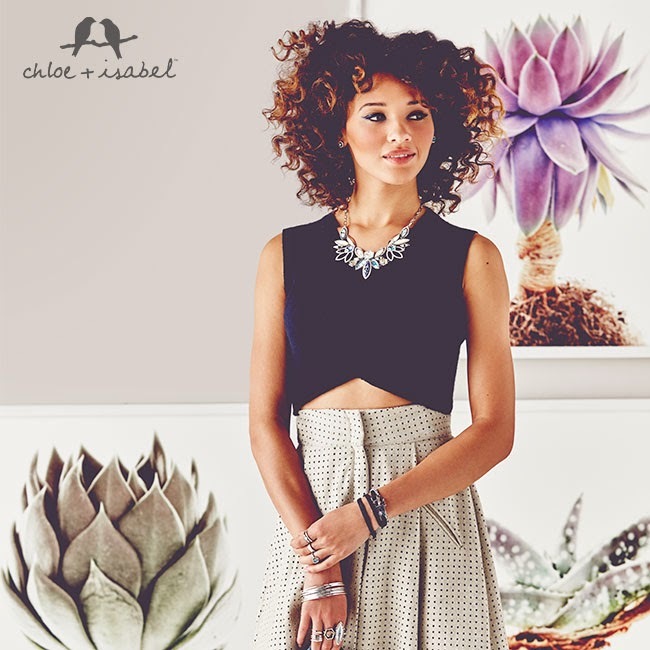 Spring is right around the corner, making this the perfect time to announce the launch of Desert Blooms--the newest collection by Chloe + Isabel. I love the soft pastels and earth tones this season. So many of the pieces remind me of a retro Palm Springs. Desert Blooms encompasses many different micro-collections. Below are their names and a bit about what inspired the looks and textures of the jewels. Meridian is inspired by soft silvers and iridescent blues of a moonlit sky--a celestial mix of mother-of-pearl inlay, semi-precious sodalite and genuine abalone. Abstract and geometric shapes evoke petals of the night blooming cereus cacti, known to bloom only once per year. Heritage Bloom is inspired by western sand glass and desert wildflowers--modern meets vintage floral designs in a springtime palette of soft petals, tanned neutrals and pops of coral. Sedona is all about peach, coral and teal--geometric shapes inspired by wild cactus flowers in a sun kissed paradise. Sand and Sky is boho beauty at its finest. Pops of cool blue semi-precious amazonite reflect a watery mirage, while golden paillettes capture a sunlit sky. Mirabelle is a seven piece mini collection--romantic and vintage inspired. Luxe and layered high shine clear crystals form enviable bouquets of brilliant sparkle. Very classic and very feminine. Tidal takes inspiration from fluid wave shaped patterns in nature. These organically sculpted designs add a modern twist to the "best of basics" style. Finally, the Heirloom Tortoise and Crystal Collection features luxe and layerable tortoise resin links and high shine crystal collectibles. 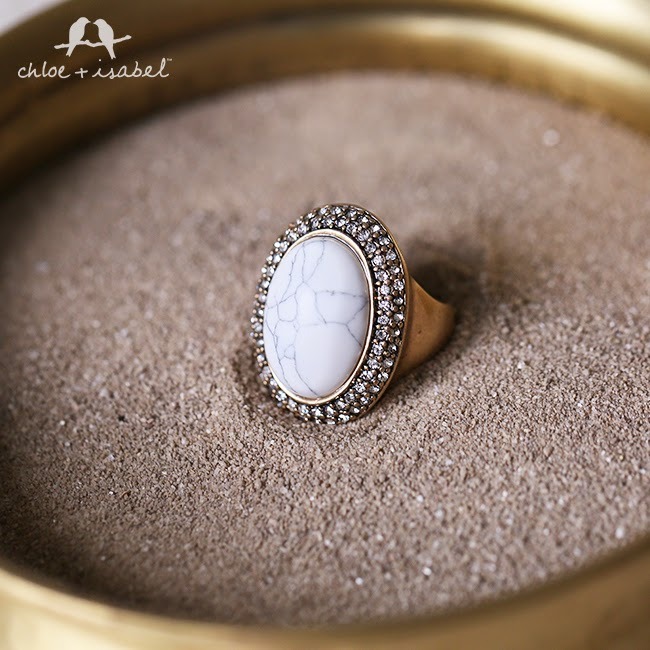 Set in versatile antique gold plating, this collection was designed as a perfect balance of trend-setting Chloe and classic Isabel. 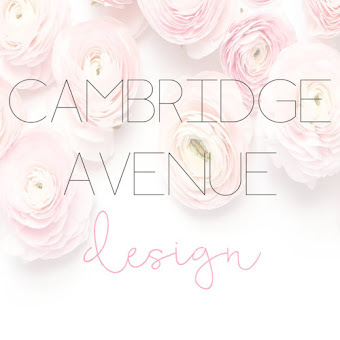 Be sure to visit My Boutique by clicking on any of the links in this post--or the two beautiful birds on the side of my blog! 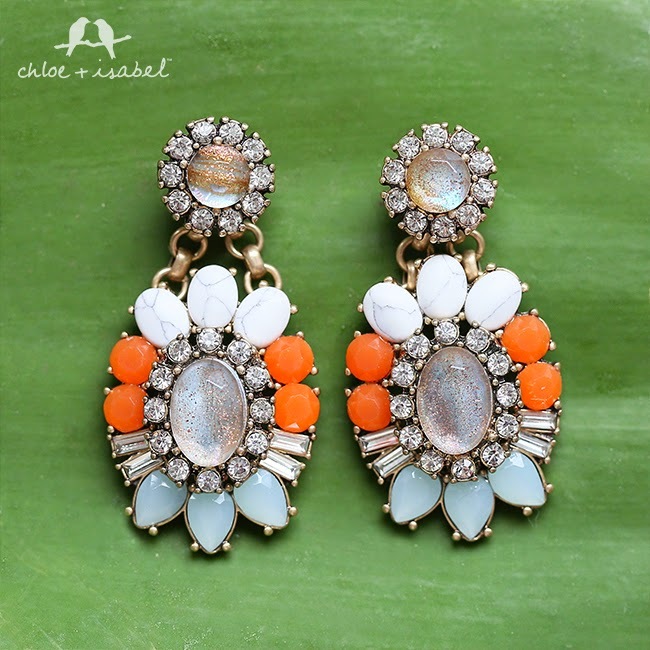 You can also find style inspiration on my Pinterest board, Chloe + Isabel. Each piece featured provides a direct link to the exact item in my boutique! 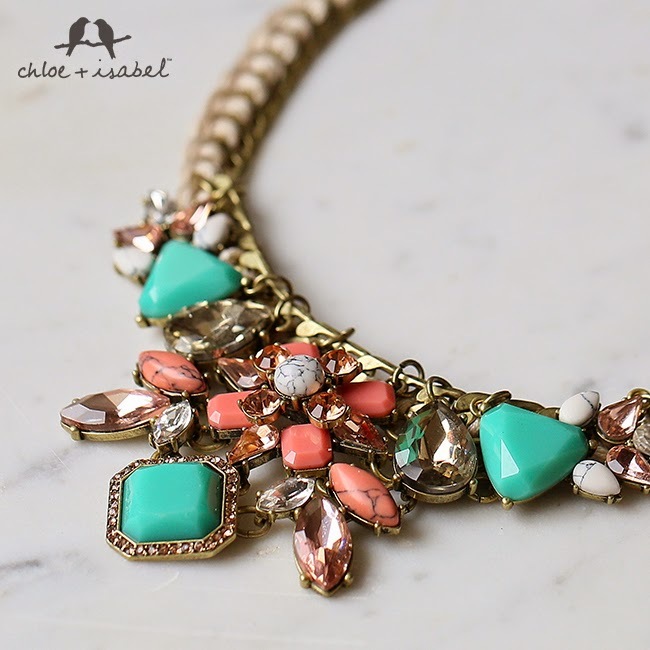 All of Chloe + Isabel jewelry is hypoallergenic, nickel-free and lead safe. Each piece comes in a beautiful dust bag or box. Interested in earning free jewelry? 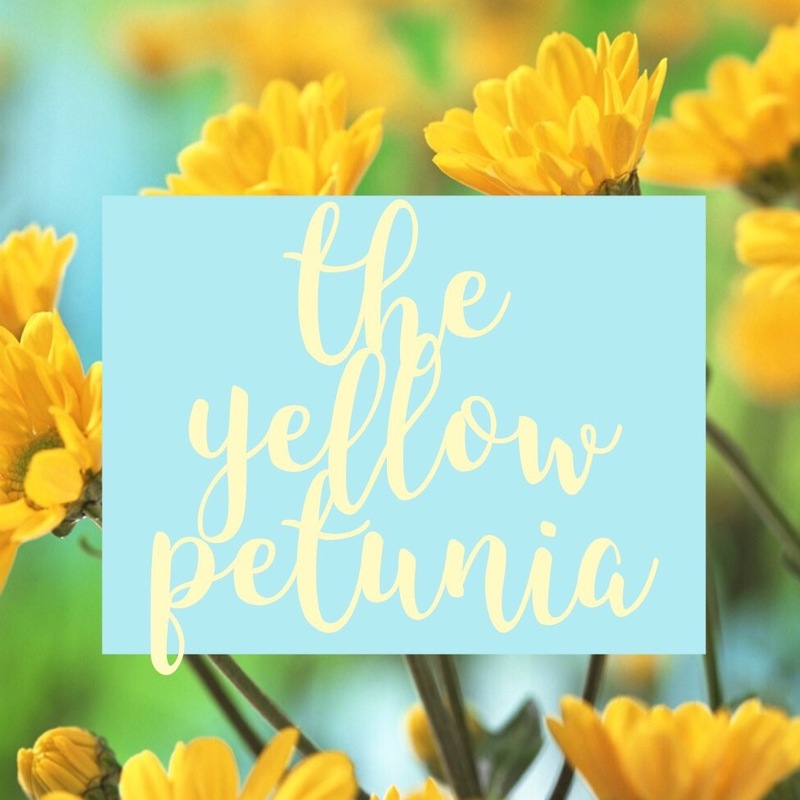 Contact me at ashley@theyellowpetunia.com about hosting an online pop-up party! You can also leave a blog post comment with your name and e-mail address (it will not be distributed or posted) so I can add you to my exclusive shopping network. All you have to do is visit my boutique, create a password and begin shopping. Give the gift of style to both yourself and someone you love! Love these pieces girl!! 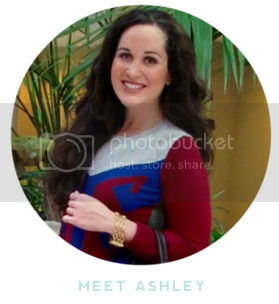 I also love your blog layout! The blue and yellow are perfect! !